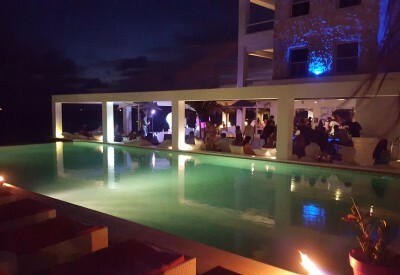 Young professionals and party people come to Saint Tropez on Curacao to celebrate the start of the weekend. Saint Tropez has a modern and contemporary feel and on Friday evening they don’t have one, but two happy hours. From 6-7pm and from 9-10pm, with tasty drinks a groovy resident DJ spinning behind the deck from 10pm to 1am. Dress to impress, because this is one of the sophisticated hotspots on the island. Feel rejuvenated!